"Integration, Integration, Integration- and GREAT Customer Service"
This software is affordable ($29 a month or $299 a year) and integrates with almost every piece of real estate infrastructure that I use, to include: Mojo Dialer and Bomb Bomb. One of my favorite features is the google integration. Essentially all of my contacts can sync with my google contacts. This means that if I enter a contact and sync them, then when they call me back I will know who is calling me! Great for those that do lots of phone prospecting and sync prospects from Mojo. Also, the customer service is second to none. I have spoken on the phone with folks that returned calls on weekends! Some of the instructional videos are hard to find. This is mitigated by the fact that the customer service is so great. I think one has to be a somewhat experienced to a novice with the computer to get the most out of this application without using the customer service. This makes me much more efficient and ultimately will help me save time and be more productive. We have been using Wise Agent for a number of years. It has grown with us as our team has grown. I have used other CRM's in the past, and honestly can say that Wise Agent offers way more features and functionality then the others. You also can not beat the price and the excellent customer service they provide. The marketing platform is a little outdated, but I know they are working on an improved workflow that should be rolling out soon. Wise agent is a great program that offers ease of use and powerful functionality. Definitely worth a look. The greatest feature that my team enjoys with Wise Agent is their Transaction Checklists. The ability to stay on top of properties current listed and/or in escrow is vitally important. Wise Agent makes that process pretty seamless. Also the ability to stay in consistent contact with both active and past clients is easily done in WA. "ALmost a really great tool, definately a great price." Compared to other CRM's Wise Agent beats them hands down on the price. They definitely offer a very robust program for what most CRM's would charge you in one month they offer for a whole year. Aesthetically I felt the interface was a little clunky or box in its design. Alos, as far as I know, the mobile ability was not as robust as I would like. I was looking for something that would combine CRM capabilities with strong transactional capabilities. Having both worlds unified in one database is a very powerful business component. "Great way to keep tabs on transactions!" Wise Agent is easy to use and reliable. I appreciate the streamlined process and consistent availability. There's nothing I don't like! The system works as intended and is easy to use. Do yourself a favor - learn how this system works, and USE IT. I was having a hard time keeping track of my clients, customers, and transactions. Wise Agent helps me keep tabs on my entire business. "Great for contact management and transaction tracking"
Intuitive and easy-to-use contact management and transaction tracking. The customer service and tech support is outstanding. The fact that Wise Agent automatically syncs to gmail and loads the content into a contact's history is such a time saver. Marketing materials to send to prospects and customers aren't contemporary looking. Email marketing campaigns have a dated look. At-a-glance calendar of transaction status. "Wise Agent is a real estate business management solution for brokers and agents"
It’s evident Wise Agent was built to be flexible, to work with agents already entrenched in any number of lead-generation or email marketing accounts. And that’s great. "Executives Assistants Experiences with Wise Agent"
I loved being able to organize my bosses contacts and assign them to different groups in order to send specific email blasts too as well as setting alerts for specific dates. Syncing with a third party email blast software sometimes was clunky and difficult. If you need a program to organize and stay on top of your database, this is for you. Organizing clients and making sure we emailed clients. 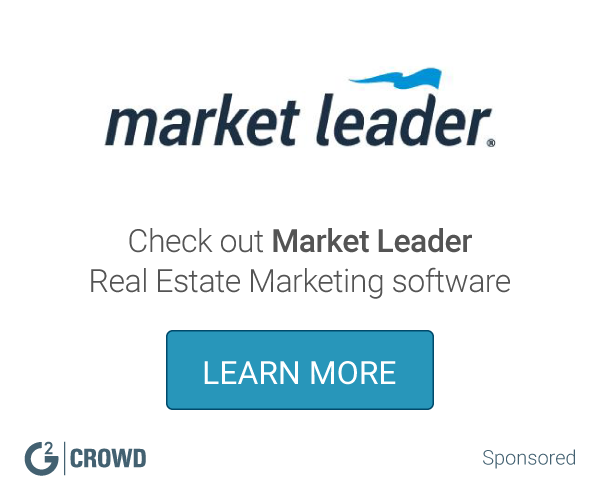 "The only All-in-One Software any Realtor Needs! " Ease of use. Contact management is great. Love the way how it keep tracks all the emails sent to a contact and how the contacts are synced with google contacts. Good value for money. This is probably the only CRM and marketing software you'll need. * We monitor all Wise Agent reviews to prevent fraudulent reviews and keep review quality high. We do not post reviews by company employees or direct competitors. Validated reviews require the user to submit a screenshot of the product containing their user ID, in order to verify a user is an actual user of the product. Hi there! Are you looking to implement a solution like Wise Agent?